A woman surveys the painting “Artist and Shaman between Two Worlds” by Norval Morisseau on display during a media tour of the National Gallery of Canada’s Canadian and Indigenous Galleries featuring Canadian and Indigenous Art: From Time Immemorial to 1967 in Ottawa. During the Nuit Blanche cultural festival last fall in Toronto, Ojibwa artist Rebecca Belmore spent the night painting the floor of the Art Gallery of Ontario's Walker Court in red clay. Hundreds of people milled around while Ms. Belmore made a symbolic reclamation of the Indigenous land under the AGO. "Rebecca brought the land inside," says Wanda Nanibush, AGO curator of Canadian and Indigenous Art. "You could smell the clay everywhere." Ms. Belmore's piece also symbolized the change happening between Indigenous peoples and Canada's art galleries and museums, which are making more space for Indigenous cultures and peoples. "There's more real estate for Indigenous art, there are better conversations about it," says Ms. Nanibush, an Ojibwa who last year became the first AGO curator to have the word "Indigenous" in her title. The change has been in the works for years – at the AGO and elsewhere – but is getting a push from Canada 150, and from the Truth and Reconciliation Commission report, which called on museums and other cultural institutions to do a better job of representing Indigenous cultures. The summer of 2017 has become a rush hour for new exhibitions and expanded facilities. Last week, the National Gallery of Canada opened its new and expanded Canadian and Indigenous Galleries, which give new prominence to contemporary and historic object-making by Indigenous peoples. On July 1, the Canadian Museum of History will open its new Canadian History Hall, a $30-million retelling of national narratives that curators say will do away with the long-established segregation of Indigenous experience from Canadian history. On Thursday, the Museum of Anthropology at the University of British Columbia opens a new, $3.5-million Gallery of Northwest Coast Masterworks The Winnipeg Art Gallery recently announced plans to add an Inuit Centre to its existing building, for an expansion of more than 3,700 square metres. On June 17, Toronto's Royal Ontario Museum opened a new exhibition, Anishinaabeg: Art and Power. 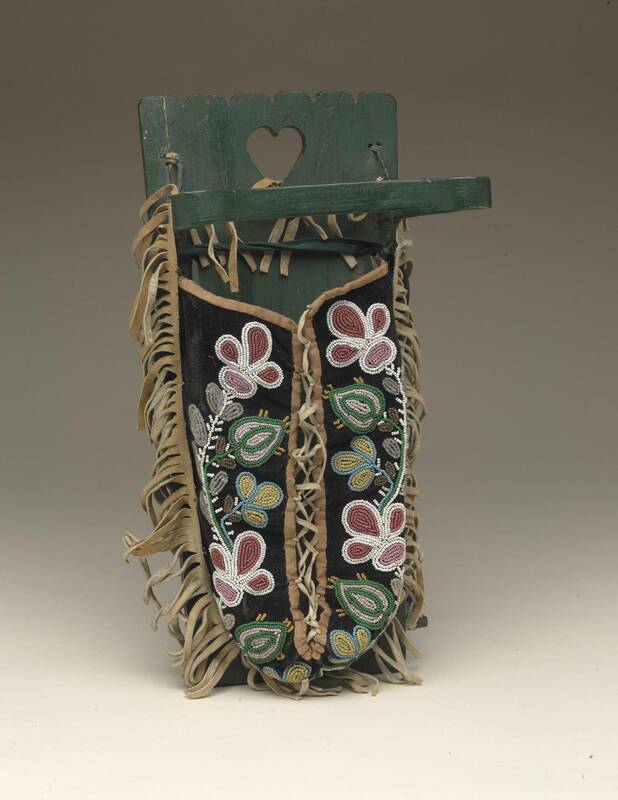 The show combines 19th-century "friendship bags," covered in elaborate floral beading, with contemporary paintings by the likes of Norval Morrisseau. Fifty years ago, the ROM regarded all this material as "ethnological" and not really on a par with European aesthetics and art-making. "It's an old division, to suggest that people who are Western have art and other people have ethnographic work," says Mark Engstrom, the ROM's deputy director of collections and research. "Those old lines are disappearing in the modern museum." 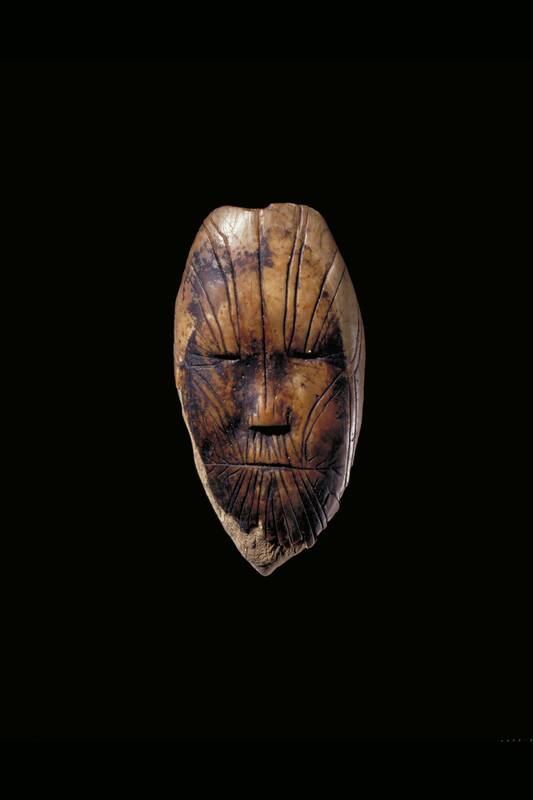 A vivid scientific reconstruction, based on human remains, of the face and figure of an Inuk man who lived about 800 years ago. The old lines become especially untenable when Indigenous people are entering the institutions as staff members and cultural advisers. "If you're looking at the subject from an anthropological point of view, it's a little weird when the people you're talking about are standing next to you," says Clayton Windatt, executive director of the Aboriginal Curatorial Collective (ACC). In the ROM's new exhibition, there's no division between art and non-art. The paintings are interpreted mainly through the personal reflections of North Caribou Lake First Nation artist Saul Williams, who is one of the show's co-curators. Mr. Williams, who says his art was partly inspired by rock paintings and "my grannies' beadwork," wrote first-person labels for all the paintings in the show and discusses their symbolism and spiritual meanings in a video. "What we want to do in general is shift to a first-person narrative," Dr. Engstrom says, "and have people telling their own stories in the galleries, rather than being interpreted by middlemen." Those middlemen are the traditional gatekeepers and explainers: ethnologists, anthropologists, archeologists and historians. Many who began collecting objects for museums in the 19th century assumed that the makers and their societies would be swept away by settlement and material progress. Museums scooped up prized items that were sometimes bought from desperately needy communities and then analyzed the treasure in their own way. They produced exhibitions that froze Indigenous peoples in a timeless past, as if the cultures had ended when settlement began. The Truth and Reconciliation Commission's call for museums to reform their ways, says Guislaine Lemay, curator of ethnology and archeology at Montreal's McCord Museum, was in part about prompting the institutions "to tell the whole story, including the hard truths. Museums also need to recognize themselves as part of the hard truth." That hard truth started to break out in 1988, when the Cree of Lubicon Lake, in Northern Alberta, called for a boycott of The Spirit Sings, a touring exhibition organized by Calgary's Glenbow Museum. The Lubicon Cree objected to the presentation of Indigenous cultures as past historical phenomena and to sponsorship by an oil company drilling on Lubicon land. The boycott prompted a joint task force by the Canadian Museums Association and the Assembly of First Nations, whose 1991 report called for an end to "stereotyped exhibitions that depict First Peoples as dying, primitive and inferior cultures, or as cultures isolated from Canada's history, in 'pre-history' galleries." Museums, said the report, needed more Indigenous staff, better training for everyone else and easier ways for Indigenous peoples to access objects made by their ancestors. "An Indigenous perspective was not specifically included in the national narrative before," says the Canadian Museum of History's First Peoples curator Jonathan Lainey, who worked on aboriginal segments of the new Canadian History Hall. The new display begins with video displays of half a dozen Indigenous creation tales, Mr. Lainey says. The disappearance of bison herds from the Western plains will gain a first-person perspective from the projected words of a chief asking how his people would survive. A model canoe with figures representing individual Indigenous warriors and leaders, made by the Odawa chief, Assiginak, in about 1825. Museums have been interested in first-person testimony for at least a century. What's new is the willingness to allow an outside community not only to contribute personal material, but to help determine the approach and design of an exhibition. First-person storytelling in museums tends to involve a crowd of contributing experts and community members. At least 40 "engagement groups" were consulted for the Canadian History Hall, says Dean Oliver, CMH director of research. For the Glenbow's 2004 permanent exhibition Niitsitapiisinni: Our Way of Life (online at glenbow.org), the museum acted as producer of the show, which was otherwise directed by members of Blackfoot communities across Alberta and northern Montana. Glenbow curator Joanne Schmidt says the museum asked a very traditional question – Who are the experts in this field? – and realized that the answer lay outside its walls. "The museum went to the people themselves," says Jerry Potts, a member of the Piikani Nation of Southern Alberta, who was intimately involved in planning the exhibition. "We told the story, and the museum accommodated our stories of creation, and the things our people have been through, to today." The show's first-person plural story is illustrated with objects, archival photographs and "winter counts" – pictorial records of events in the life of the Blackfoot, used to support oral histories. A crucial element in the show, Ms. Schmidt says, is the involvement of live Blackfoot interpreters, whose tours are among the Glenbow's most popular. The Anishinaabeg: Art &Power Exhibition at the Royal Ontario Museum includes works as Jackson Beardy’s Fisher with a Broken Tail, 1972. Niitsitapiisinni, says Ms. Schmidt, is laid out "very much to be a similitude of the Blackfoot environment, with undulating and rolling pathways, circular spaces and a tepee in a central space with a dome of stars above it." The only right angles, she says, come in the representation of the houses and residential schools that later confined the Blackfoot. Even before Niitsitapiisinni, Indigenous peoples had begun engaging with museums to research items from their cultures, needed for cultural regeneration. Mr. Potts, who is a maker of ceremonial Blackfoot pipes, says he first became involved with museums while trying to research the origins of his craft. "It used to break my heart to see the stuff that was in their collections, ceremonial smoking pipes that go back to the late 1800s," Mr. Potts says. "We're talking about a very sensitive, imaginative production, made with very limited tools. How did they get something so perfect? I was inspired by that." Many museums now allow special access to their collections to members of Indigenous communities, subject to vetting by elders and other cultural leaders. The people who apply for such access at the Glenbow, says Ms. Schmidt, include those who were sent to live with non-Indigenous foster parents during the government-sponsored Sixties Scoop and who are now looking for tangible links to their original families, communities and cultures. “Conflict of Good and Evil,” a 1966 painting by Daphne Odjig. "Museums did such a job of stripping objects out of communities," says Cara Krmpotich, an associate professor of museum studies at the University of Toronto's Faculty of Information. "The least we can do is get them back in people's hands in the museum, through direct physical contact. Tools don't always make sense until you can hold them. Your hand goes in the exact same place as your great-great-grandmother's hand." Sylvie Paré, a curator of Huron-Wendat heritage, gave up a post at the former Museum of Civilization (now the CMH) in 2001 because she couldn't accept the idea that objects from cultures closely linked to the land should be confined to museum spaces indoors. She's now the cultural agent for the First Nations Garden, part of the Montreal Botanical Garden. "Here, we can show the object with the natural material," says Ms. Paré. "If we want to talk about an Abenaki basket, we can also talk about the black ash from which it is made, because we have it growing here." The forest-like garden, which spans 25,000 square metres, is planted in sections to match the trees and flora of different Indigenous territories. Indigenous guides interpret temporary art displays and plants together, Ms. Paré says, as related parts of the same ever-changing environment. "It's really a social mission," Ms. Paré says. "The garden is a healing space for Indigenous peoples and for Quebeckers." The Manitoba Museum brought a land-based perspective into its continuing show Legacies of Confederation: A New Look at Manitoba History by examining Confederation's effects on the ecosystem. An old diorama of a hunter confronting a bison, for example, has been reinterpreted in terms of how diminishing herds affected Métis society and politics. "Loss of species and habitat is also part of the Confederation story," says curator Kevin Brownlee, who is Cree from Kinosao Sipi in central Manitoba. A woman walks past an Algonquin canoe during a media tour of the National Gallery of Canada’s Canadian and Indigenous Galleries featuring Canadian and Indigenous Art: From Time Immemorial to 1967 in Ottawa. 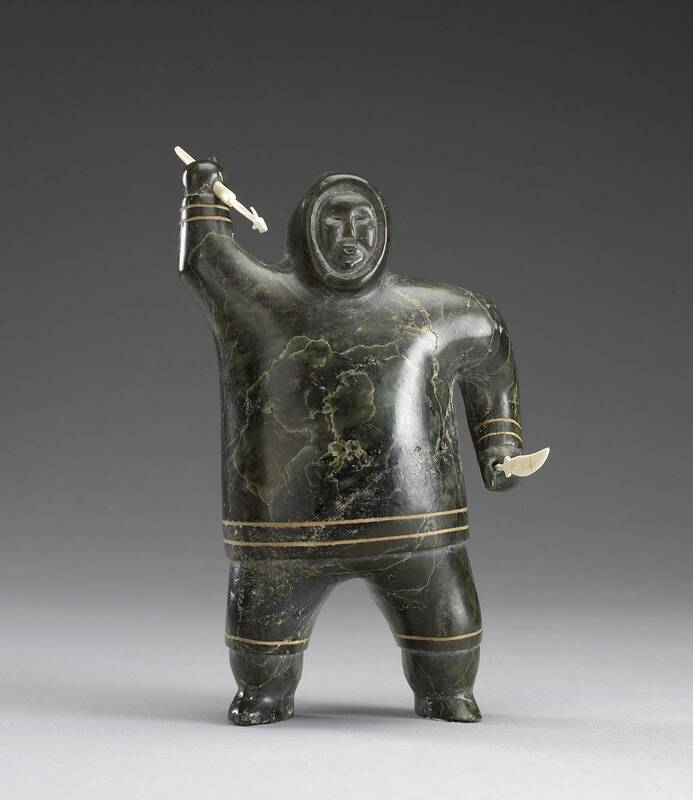 Canadian art galleries began noticing Indigenous art in the 1950s, when southern dealers and collectors started buying Inuit sculpture. Unlike museums, where the narrative stopped with settlement, the galleries tended to be oblivious to object-making from before the time when Indigenous people began selling into the commercial gallery system. It's no longer seen as okay to give the impression that Indigenous people made nothing that could be discussed as art till 60 years ago. The National Gallery of Canada had not previously collected historical Indigenous items, but borrowed some for its new Canadian and Indigenous Gallery and is now assembling its own collection. "We need to recognize the continuities in Indigenous art and culture," says Greg Hill, NGC head of Indigenous art. The NGC's new galleries will also juxtapose Indigenous abstract work with the quite different abstraction narrative in non-Indigenous art, says Mr. Hill, who is Mohawk from Six Nations in Ontario. Art galleries and museums were a European invention and the exhibition culture they nurtured has many features that remain alien to Indigenous world views. "I think that the culture of a fine-arts museum still doesn't quite fit Indigenous cultures," the AGO's Ms. Nanibush says. "It's still very Victorian, in its way." She's trying to find ways to minimize vitrines and display cases, "which for me immediately signify the ethnological way of looking at things." “Night-time in Camp,” 1990, by Janet Kigusiuq Uqayuittuq. Some of Ms. Nanibush's most difficult encounters within the institution, she says, have been "with people who are already inclusive, who find it difficult to be challenged in the way that they are inclusive. People see Indigenous inclusion on a par with everything else, but it's a very different thing. As the First Peoples of the country, they take up a different space and require a different way of thinking. "I still feel that what the world can't handle is us as living beings today," she says. Her next major project is a show, next fall, of radiant abstract canvases by Rita Letendre, who is of Abenaki heritage. The NGC's Mr. Hill says the vocabulary used by art galleries to talk about Indigenous work needs to evolve away from Eurocentric notions of value. "When you use a word like 'decorative,' for example, it automatically tends to slot the work in a hierarchy," he says, referring to the inferior rank reserved in European art history for decorative material. The U of T's Prof. Krmpotich sees a stiff conservatism in the way museums catalogue their treasures, often through a single descriptor that may not be at all obvious to an Indigenous person. A cradleboard, for example, which was used by many Indigenous peoples to carry infants, "is classified as a human-powered vehicle, the same as a bike or a canoe," Prof. Krmpotich says. The entrance to the gallery at the New Canadian History Hall. The Canadian Museum of History is boosting the ranks through its annual eight-month Aboriginal Training Program in Museum Practices. The Aboriginal Curatorial Collective has spent 10 years lobbying for more Indigenous professionals in museums and galleries and runs a summer placement program that has put 12 people into temporary positions this year, up from eight in 2016. No one is calling for an aboriginal-only zone in museums, the ACC's Clayton Windatt says. "Claiming space for Indigenous people means you have the ability to do what you need to do," he says. "It doesn't mean non-Indigenous people can't be a part of it." Even with new staff and different attitudes, outmoded forms of interpretation persist in many museums. The CMH's online Treasures Gallery includes an image of an elaborate Naskapi coat and the information that the original owner "was a Naskapi Indian, whose people lived in northeastern Quebec and Labrador." The past tense obscures the fact that the Naskapi still live in those regions and are no longer called "Indians." "Many curatorial things on display show their age," the CMH's Dean Oliver says. "Some of the jagged bits in our interpretation of things need to be fixed." The ROM's Daphne Cockwell Gallery of Canada: First Peoples mainly focuses on historical items, though it has been updated with first-person descriptions by Indigenous artists of the objects, as well as a series of large contemporary works by Jane Ash Poitras, representing the effects of residential schools. Other items in the gallery, however, are still described from a frankly Eurocentric perspective. "There's a real mixture of points of view," the ROM's Mark Engstrom says. "It's an evolving space that needs a rethink. If I could start over, I would." Museums may be slow to change, Dr. Engstrom says, "but I think we're at the point of having a paradigm shift. My goal would be that people would be proud for their communities to come in and see the way objects and their cultures are presented and discussed in the museum. And that people would see these as living communities." Editor’s note: Rita Letendre's exhibit opens on June 29, not in the fall, as reported in an earlier version of this story. An earlier version of this story stated in the caption for the first photo that the painting was titled Copper Thunderbird. In fact, the painting is titled Artist and Shaman between Two Worlds.